Ok, who told the chickens we were having an Open House? Yes, we sent out invitations, but who invited the chickens? The jaywalkers gate crashed our farm on the weekend. There was quite a crowd of them, at least two roosters and four hens. We couldn't figure out how they got in until we used an infrared camera on the gate. Someone must have told them that we've starting weaving with willow. 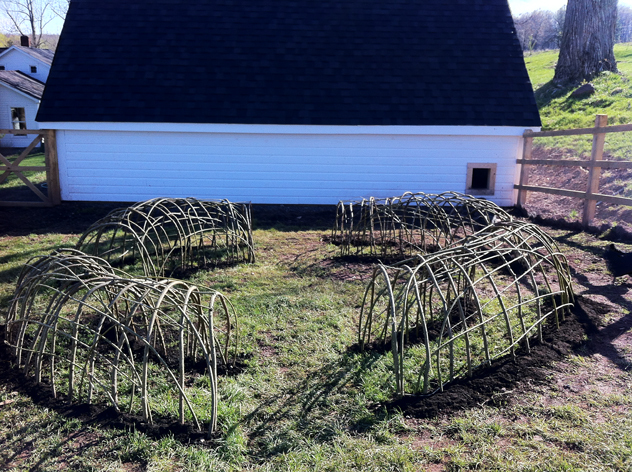 Have you ever seen a willow chicken coop?